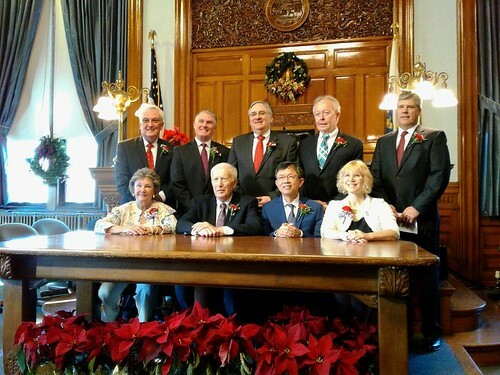 Instead of “Lowell Week in Review” today’s post could be more accurately called “Lowell City Council in Review.” Last week I wrote about the upcoming 2019 City Election by reviewing the results of the 2017 election and the career electoral accomplishments of the current city councilors. Today I begin a review of the performance of those nine councilors by showing the motions made by each of them during the first six months of 2018. (I’ll do a similar post covering the last six months of 2018 in early January). I’ve decided to list all the motions made by each councilor in chronological order by councilor. That approach leaves you with a lot of reading, but it’s the best way to gauge what issues are of interest to each of the councilors. And while quantity does not equal quality, the number of motions made by councilors, especially substantive ones, might provide residents with one factor in assessing a councilor’s performance. The councilors are listed in alphabetical order with all motions they made from January through June 2018 following in chronological order. If a motion was co-sponsored by two or more councilors, I have listed the motion under each sponsor’s name, indicating in parenthesis the name of the other sponsor of the motion. 1/9/2018 – Req. City Mgr. have the DPW Commissioner provide City Council a list of non-operational or disrepair items no later than August 10th, of every year which are vital to our municipal buildings working properly for our Fall-Winter season of 2018. 1/9/2018 – Req. City Mgr. direct the law department to provide the City Council with a report on the feasibility of creating an ordinance that would require the City Council to include a line item in the budget for deferred maintenance issues in all municipal buildings. 1/16/2018- Req. City Mgr. direct the Law Department to create an ordinance that would require the City of Lowell ban plastic bags in stores larger than 4,000 square feet. The ordinance would only apply to carryout bags used at stores. These are to be exempt from the ban: thin-film plastic bags used for dry cleaning, newspapers, flexible transparent covering for uncooked raw meat, poultry, raw fish, hard cheese, cold cuts, fruit, vegetables, baked goods or bread and wet items. 1/16/2018- Req. City Mgr. approve the purchase of 10,000 reusable bags for our seniors and low-income residents and develop a plan to distribute them to our residents. 1/16/2018- Req. City Mgr. direct the Law Department to create an ordinance that would require the City of Lowell ban all sales and distribution of expanded polystyrene (Styrofoam) food containers, with a requirement that food packaging be recyclable or compostable. This ordinance will affect all establishments that serve food or drink in single-use disposable service-ware. This includes but is not limited to cups, plates, bowls, hinged or lidded containers, straws, cup lids, and utensils. Food establishments such as restaurants and fast food stores, grocery and convenience stores, beverage retailers, and other retailers will be required to comply with this ordinance. 1/16/2018- Req. City Mgr. direct the Department of Planning and Development to give the City an update regarding where we are in the process of the Canal Bridge”s bids which are due to be received on January 30th. 1/16/2018- Req. City Mgr. have the Division of Planning and Development produce a zoning amendment to allow the Zoning Board of Appeals to issue a special permit for the addition of front porches to existing homes. 1/30/2018- Req. City Mgr. meet with representatives from the OFO Bike Sharing Program and provide City Council with a report regarding the feasibility of establishing a bike sharing program in Lowell. 2/6/2018- Req. City Mgr. provide a report regarding cost analysis of recycling pick-up every week comparing it to current cost pick-up of every other week; in addition provide possible options for residents that bins overflow i.e. a second bin for people who request it. 2/6/2018- Req. City Mgr. provide a report regarding Lowell Memorial Auditorium; said report to include updates on proposals for a management company due February 22nd, money allotted in budget for use and upgrades including larger loading dock doors and restrooms, and efforts being made to increase its use. 2/13/2018- Req. City Mgr. provide a report updating the Council regarding installation of “Meters for Homeless” Program; report to include costs for installation, number of meters installed, and organizations to whom collected funds will be distributed. 2/13/2018- Req. City Mgr. provide an updated presentation to the Economic Development SC of the plans for the Hamilton Canal Innovation District; said presentation to include garage plans, first floor commercial space in garages, lighting of the Swamp Locks, and infrastructure and transportation plans as they relate to Lord Overpass traffic improvements. 2/27/2018- Req. City Mgr. explore feasibility of implementing “Paws to Read” program at the Pollard Memorial Library. 2/27/2018- Req. City Mgr. provide a report regarding road and sidewalk upgrades in Acre; in and around Mt. Washington St., Merrimack St. (Sizzling Kitchen) and Market St.
2/27/2018- Req. City Mgr. provide a report regarding Spring cleaning procedures throughout the City. 3/6/2018- Req. City Mgr. Distribute To All Condominium Associations Multiple Copies Of The Parking Rates To Be Given To Residents Who Pay For Garage Parking. This Is So Each Individual Residence Will Be Given A Copy To Make It Clear To Them What Rate/Senior Discount Rate They Are Responsible For. Also, Direct The Parking Director To Post The Rates Each Parking Garage In A Very Easily Accessible Viewing Area. 3/6/2018- Req. City Mgr. Provide A Report For Budgeted Cost And Implementation Regarding These Options For Bicycle Safety: Painting And Upkeep Of Bicycle Lanes Throughout The City. 2. Bike Lanes Being Segregated By A Barrier For Added Safety. 3/6/2018- Req. City Mgr. Provide A Report Updating The City Council Regarding The Lowell Complete Streets Policy Enacted on August 11, 2015 And What Goals For Travel Mode Distribution, i.e. Bicycle Routes, Have Been Developed And/Or Achieved In Accordance With The Policy Within The Stated Incremental Five Year Time Period Which Will End On August 11, 2020. 3/20/2018- Req. Arts and Culture SC work in conjunction with the cultural commission to promote public art in and around the City. 3/20/2018 – Req. City Mgr. provide a report regarding rejuvenation of the Tour de Lowell; report to include information from prior races in the City. 3/20/2018- Req. City Mgr. provide a report regarding spring tree and flower plantings in the City; report to include schedule of plantings, number of plantings and area of plantings. 3/20/2018- Req. City Mgr. provide an update report regarding National Grid”s gas pipeline project for a new 12 inch line to replace current 6 inch line which will run through Chelmsford, Lowell and Tewksbury. 3/27/2018- Req. City Mgr. have proper department include line item in City budget to supplement yearly allocation from Massachusetts Cultural Council to include an allocation for the Lowell Cultural Council. 3/27/2018- Req. City Mgr. provide a report regarding costs of adding three to four electric charging stations in the center of downtown. 3/27/2018- Req. City Mgr. provide a report regarding how many and what type of City vehicles are up for renewal or replacement and the costs of transferring those and other City vehicles in the future from gas to electric, which would produce an all electric fleet for City of Lowell. 4/10/2018- Req. City Mgr. provide the City Council with a report on the potential installation of “Short Story Dispensers” at strategic locations. 4/10/2018- Req. City Mgr. instruct the proper department provide a report of any broken streetlights that are in need of replacement and in the report have protective options for the lights, for example a grate placed underneath. 4/10/2018- Req. City Mgr. instruct the Division of Planning and Development to compile an updated inventory of vacant upper story downtown office/business spaces, including how long they have been vacant. 4/27/2018- Req. City Mgr. add Park Avenue West to the next re-paving contract. 4/27/2018- Req. City Mgr. explore feasibility of installing a “Do Not Enter” sign at the bottom of Maryl Drive. 4/27/2018 – (with Kennedy & Samaras) Req. City Mgr. and Board of Parks take necessary steps to ensure that the Page Softball Field at Shedd Park remain dedicated to girls softball. 5/15/2018- Req. Neighborhoods SC hold periodic meetings within the next eight months, in the Chamber or in the neighborhoods, to take up various items that have been brought up during their meetings. 5/15/2018- Req. City Mgr. provide the Council with a report regarding the safety of the Smart Water Meters being installed throughout the City. 5/15/2018- Req. City Mgr. provide an update to Council regarding the State”s response to the issues that arise at the Sampas Pavilion ie, late night noise; parking; and safety. 6/12/2018- Req. City Mgr. instruct DPD to provide a report and proposal regarding a plan authored by former LHS headmaster, Peter Stamas, entitled “Lowell – The Flowering City”. 6/12/2018- Req. City Mgr. instruct proper department to provide trash barrels at various locations along Jackson Street especially the segment between Marston and Canal Streets. 6/26/2018- Req. City Mgr. instruct proper department provide a report to the Council regarding the age and condition of the playground equipment at Hovey playground on Aiken Street in Centralville. 6/26/2018- Req. Nonprofit Organizations SC meet with the various non-profit groups based in Lowell in order to explore initiatives designed to increase public awareness and to educate residents regarding the various programs available through non-profit organizations in Lowell. 1/23/2018 – Req. City Mgr. meet with Supt. of Police, Supt. of Schools and other interested parties to re-establish the Safety Task Force. 1/23/2018 – Req. City Mgr. update the Council regarding the status of the Crime Stoppers Hotline. 1/30/2018 – Req. City Mgr. work with proper departments to ensure pedestrian safety and walk-ability at the intersection of Pawtucket Blvd. and the Rourke Bridge. 2/6/2018 – Req. City Council create subcommittee on Municipal Health Insurance. 2/6/2018 – Req. City Mgr. work with DCR to install appropriate signage at the entrance to Trotting Park Road directing forest visitors to the parking area. 3/20/2018 – Req. City Mgr. have proper City officials make a presentation to the Substance Abuse SC relative to steps being taken to combat the opiate epidemic. 3/20/2018 – Req. City Mgr. have Law Dept. provide a report regarding when the names of applicants for positions in the City can be properly disclosed to public. 4/27/2018 – Req. City Mgr. and Law Dept. review the feasibility of drafting and implementing an ordinance prohibiting the consumption of marijuana in public. 5/8/2018 – Req. City Mgr. report on the status of the crossing light at Douglas Road and Andover Street. 5/8/2018 – Req. City Mgr. provide update on road construction at the VFW Highway across the street from Top Donut and the Aiken Street Bridge. 5/22/2018 – Req. City Mgr. explore the feasibility of re-locating our police station to the site of the District Court located on Hurd Street when vacated by State. 6/26/2018 – Req. City Mgr. and DPD meet with MassDOT for the purpose of addressing and mitigating the traffic in the City during construction projects on the roads and bridges; plan to include time tables for completion of the multiple projects and a presentation of the plan for the public. 1/2/2018 – Req. City Mgr. provide a report regarding the policy of City vehicles being taken home; the number of vehicles issued to employees; and the associated costs. 1/2/2018 – Req. City Mgr. provide a report on the expenditures to date regarding the feasibility study on Lowell High School and the amount reimbursed to the City from the MSBA. 1/23/2018 – Req. City Mgr. and Building Department provide a report regarding all abandoned homes in the City. 1/30/2018 – Req. City Mgr. have proper department remove sign infrastructure at police garage on Middlesex Street. 1/30/2018 – Req. City Mgr. initiate street/sidewalk/parking plan for Branch Street business corridor to coincide with Overpass construction. 1/30/2018 – (with Leahy) Req. City Mgr. provide a report to the Finance SC regarding FY18 property valuation assessments; 3rd Quarter tax bills and abatement process; and budget impact on tax bills. 2/13/2018 – Req. City Mgr. contact Department of Mental Health and State House Delegation regarding closing of the Mental Health Center in Lowell. 2/27/2018 – Req. City Mgr. provide a status report regarding inspection of multi-family units per City ordinance. 3/6/2018 – Req. City Mgr. appoint a public safety personnel/security professional to the School Building Committee to ensure safety issues are addressed at high school. 3/6/2018 – (with Nuon) Req. Board of Parks consider re-naming Clemente Park to Palin Park and insure stone is re-located to the new Roberto Clemente Field at Komanzelis Park. 3/20/2018 – Req. City Mgr. explore feasibility of providing 15 minute parking space at 56 Branch Street. 3/20/2018 – Req. City Mgr. explore feasibility of providing a loading zone parking space located at 32 Branch Street. 4/24/2018 – Req. City Council allow information regarding biodegradable bags be provided at City Council Meeting on April 24, 2018. 4/24/2018 – Req. City Mgr. provide a report regarding AIR BNB zoning regulations and rental of units to students. 4/24/2018 – City Council discuss setting up syringe disposal response unit and provide training for additional employees. 5/1/2018 – Req. City Mgr. have proper department explore repair of Constance Drive and placing same on paving list. 5/1/2018 – Req. City Mgr. report on status regarding training and procedures in the Lowell Police Department. 5/15/2018 – Req. City Council discuss home rule petition to fully fund charter school reimbursements to cities and towns. 5/22/2018 – Req. City Mgr. develop a policy and/or designated area to allow citizens to exercise their 1st Amendment rights. 5/22/2018 – Req. City Mgr. report on City adopting MGL property exemption for veteran volunteer program. 5/29/2018 – (with Leahy) Req. City Mgr. report on the status on funding for turnout gear for the LFD. 5/29/2018 – (with Leahy) Req. City Mgr. provide a report regarding the status of the installation of washer ejector units in fire houses. 6/12/2018 – Req. City Council discuss establishing a standing sub-committee regarding cannabis control. 6/12/2018 – Req. City Mgr. have DPD apply for Municipal Vulnerability Preparedness Grant from the State. 6/12/2018 – Req. Mayor invite Captain Crowley (LPD) to council meeting to acknowledge his dedication to the City. 6/26/2018 – Req. City Council work with Plug in America to set up an event in Lowell for National Drive Electric Week. 1/2/2018 – Req. City Mgr. and the Mayor notify the Massachusetts School Building Authority that the City Council intends to explore changing Lowell’s preferred project option for the Lowell High School building project. 1/2/2018 – Req. School Committee endorse City Council’s intent to explore changing Lowell’s preferred project option for the Lowell High School building project and direct the Superintendent to notify the Massachusetts School Building Authority of the School Committee’s endorsement. 1/23/2018 – Req. City Mgr. consider installing water detection devices at strategic locations in all municipal buildings throughout the City. 1/30/2018 – (with Cirillo) Req. City Mgr. meet with representatives from the OFO Bike Sharing Program and provide City Council with a report regarding the feasibility of establishing a bike sharing program in Lowell. 2/27/2018 – Req. City Mgr. instruct Perkins Eastman include an active shooter detection system (similar to Methuen High School system) as part of the plans for the new high school and recommend that the Superintendent of Schools consider similar systems for other schools within the City. 2/27/2018 – Req. City Mgr. instruct the Law Department to begin procedures and preparation necessary for the eminent domain taking of 75 Arcand Drive. 3/20/2018 – Req. Zoning SC consider amending the current parking regulations for boarding homes and make recommendation to City Council. 3/20/2018 – Req. Zoning SC review and consider amendments to the zoning code; specifically for definitions for boarding houses and family in Art. II and the Table of Uses in Art. I. 3/27/2018 – Req. City Mgr. provide a report to the City Council regarding MassDOT proposed changes to traffic pattern at Oakland/Eastham Square. 3/27/2018 – Req. City Mgr. instruct downtown coordinator to develop a practical policy for decorating the display windows in vacant store front units in the Central Business District. 4/10/2018 – Request City Manager to initiate a plan to upgrade and improve the public park on Moody St.
4/10/2018 – Req. City Mgr. add Glenellyn Road to the repaving list and take immediate steps to repair the potholes on Glenellyn Road. 4/10/2018 – Request the LTC consider installing the apparatus necessary to televise the sub/committee meetings and other appropriate events in the Mayor’s Reception Room. 4/27/2018 – (with Cirillo & Samaras) Req. City Mgr. and Board of Parks take necessary steps to ensure that the Page Softball Field at Shedd Park remain dedicated to girls softball. 4/27/2018 – Req. Economic Development SC host a presentation from developers regarding a new hotel and other potential developments within the Hamilton Canal Innovation District. 5/15/2018 – Req. City Mgr. have Law Dept. draft City Council Resolution in support of Senate Bill 2506 (An Act Modernizing the Foundation Budget for the 21st Century). 5/15/2018 – Req. Mayor invite surrounding communities in the Greater Lowell area to join with the City of Lowell in support of Senate Bill 2506. 5/15/2018 – Req. City of Lowell join with Brockton and Worcester pursuant to their lawsuit against the Commonwealth of Massachusetts re: Foundation Budget (CH. 70). 6/12/2018 – Req. Supt. of Schools provide the City Council with a report explaining why the Lowell School District is subject to an increase in the Charter School Cap relative to MGL Ch. 71 Sect. 89 paragraphs 2 and 3. 6/12/2018 – Req. Supt. of Schools and the School Committee consider establishing a mini course to be part of the curriculum for Lowell High School seniors and Adult Education students that would cover the voting process in Lowell and the functions of municipal government. 6/26/2018 – Req. Education Partnerships SC host a presentation regarding Project Learn. 1/2/2018 – Req. City Council take a vote regarding the location of the preferred site of Lowell High School. 1/30/2018 – (with Elliott) Req. City Mgr. provide a report to the Finance SC regarding FY18 property valuation assessments; 3rd Quarter tax bills and abatement process; and budget impact on tax bills. 1/30/2018 – Req. City Mgr. have DPD provide a report regarding the progress on finding a new location in the City for the Merrimack Valley Food Bank. 1/30/2018 – Req. City Mgr. work with Downtown Redevelopment SC to identify and enhance the types of businesses that DPD is attracting to the City. 1/30/2018 – Req. City Mgr. work with DPD to establish and enhance marketing campaign for City of Lowell. 2/6/2018 – Req. City Mgr. provide update regarding latest meeting with the Massachusetts School Building Authority. 2/27/2018 – Req. City Mgr. place Duren Avenue on paving list for 2018. 2/27/2018 – Req. Neighborhoods SC begin discussion regarding residential parking program throughout the City. 4/3/2018 – Req. City Mgr. provide update regarding downtown spring cleaning. 5/1/2018 – Req. City Mgr. have proper department review the work being done regarding gas repairs throughout Belvidere. 5/8/2018 – Req. City Mgr. initiate a program to involve community/business members to assist in beautifying the City. 5/8/2018 – Req. City Mgr. invite Comcast, Verizon and National Grid to a meeting to discuss double poles and hanging wires present throughout the City. 5/8/2018 – Req. City Mgr. work with DPW to develop best practices for inventory control as it pertains to land and buildings in the City. 5/22/2018 – Req. City Mgr. have Law Department draft ordinance that would fine utility companies $100 per line after they were notified that such lines were illegally hanging from their pole. 6/12/2018 – Req. City Council send letter of appreciation to Captain Tim Crowley in recognition of his services to the City of Lowell. 6/26/2018 – Req. City Mgr. have DPW repair section of the Pollard Library roof. Throughout the City and their plan to remedy them. 6/26/2018 – Req. City Mgr. provide an update regarding installation of ?Pickle Ball? courts throughout the City. 6/26/2018 – Req. Mayor provide a report to the City Council regarding the status of the TV studio at Lowell High School. 1/16/2018 – Req. installation of (2) handicap parking signs in the front of the East End Club at 15 W. 4th. Street. 1/23/2018 – Req. City Mgr. review and explore other parcels of land in the downtown that may be available for the extension of Lowell High School. 1/30/2018 – Req. City Mgr. provide update regarding prior motion for Utopia Park including the status of it as well as the status of the Utopian Park Public Art Hydro Sculpture Project. 2/6/2018 – Req. City Council support naming the Parks Department building on Stedman Street in honor of Thomas R. Bellegarde for his many years of service. 2/13/2018 – Req. City Mgr. provide an update regarding Plain/Tanner Street corridor re-development plans including the effect it will have on 168 Plain Street (Lowell Car Wash).2/13/2018 – (with Samaras) Req. City Mgr. review possibility or re-establishing the position of downtown coordinator. 3/27/2018 – Req. City Mgr. place Phoenix Avenue on the re-paving list. 4/10/2018 – Req. City Mgr. find ways and means to create a childrens’ neighborhood playground next to 517 Moody St. on City property in the Acre section of the City. 5/1/2018 – Req. City Mgr. honor the commitment by the City to replace sidewalks on Humphrey Street. 5/8/2018 – Req. City Mgr. have proper department remove the barrel from North Llewellyn Street and fill the whole or make necessary repairs. 5/8/2018 – Req. City Mgr. find ways and means to have street light installed on pole #41 on East Merrimack Street at Geana Lane. 5/15/2018 – Req. City Mgr. have City Engineer begin process to accept Grosvenor Street. 5/22/2018 – Req. City Mgr. have Law Department provide an outline of where people are allowed to demonstrate or protest if not in Council Chamber during a public meeting and posts signs indicating such. 5/22/2018 – Req. City Mgr. have proper department install security cameras on 1st Street as well as address issues of lighting, excess trash, beer bottles and drug paraphernalia. 6/26/2018 – Req. City Mgr. contact DPW Commissioner to investigate whether Pickle Ball can be played on the Shedd Park tennis courts. 6/26/2018 – Req. City Mgr. contact Mass Highway Department in order to install Welcome to Lowell sign on Middlesex Street entering from Town of Chelmsford. 6/26/2018 – Req. City Mgr. contact Mass State Highway department to inspect and ensure trees are safe along section of Route 495 that abut Crystal Street off of Woburn Street. 6/26/2018 – Req. City Mgr. explore possible repair improvements to the bridge roadway on Pawtucket St. near UML dorms and Fr. Morissette Blvd. 6/26/2018 – Req. City Mgr. have DPW Commissioner apply for Domino?s Pizza grant of $5,000 to aid in road repairs. 1/30/2018 – Req. City Mgr. take all necessary steps to reinstate the Article 97 restrictions on the parks and open space land which had been removed during the Lowell High School/MSBA site selection process. 3/27/2018 – Req. City Mgr. and members of the Owner’s Project Management Team meet with representatives of Local Unions to prepare a Project Labor Agreement for the construction of the new Lowell High School. 5/1/2018 – Req. City Mgr. provide a report regarding the 2016 incident in the police detention center as well as all training received by civilian employees since 2013. 5/15/2018 – Req. City Mgr. have “No Parking From Here to Corner” signs installed at the end of Richardson Street by McPherson Park. 1/9/2018 – Req. City Mgr. provide information regarding outreach in hiring process; including breakdown of results in following categories: race; gender; veteran status; and residency. 1/23/2018 – Req. City Mgr. have City Solicitor meet in an Executive Session with Council to discuss all current or potential legal action to be taken against the City and any legal challenges anticipated by the administration against any entity. 1/23/2018 – Req. City Council have appropriate subcommittee hold meeting to determine methods on how to best protect senior residents from being victims of fraud; said meeting should include interested entities such as Elderly Commission and the Massachusetts Attorney General Office. 1/30/2018 – Req. City Mgr. provide a report regarding the scope of the project and parking proposal for the FI William Fidelity Investment dormitory project on Merrimack Street. 1/30/2018 – Req. City Mgr. provide a report regarding the status of the voting rights litigation against the City. 2/13/2018 – Req. City Mgr. provide a report to City Council regarding emergency management plans (i.e. flooding, natural disasters, etc..) for the City. 3/6/2018 – (with Elliott) Req. Board of Parks consider re-naming Clemente Park to Palin Park and ensure stone is re-located to the new Roberto Clemente Field at Komanzelis Park. 3/6/2018 – Req. City Mgr. have DPD organize a business group representing entities along the Bridge and Middlesex Street business corridors. 3/6/2018 – Req. City Mgr. have Elections Department and any other department work with UML and the Lowell Plan regarding developing a plan to increase civic engagement in the City. 3/6/2018 – Req. City Mgr. have LPD provide a report regarding any incidents occurring at the Edge Dormitory Project. 3/6/2018 – Req. City Mgr. have proper department improve sidewalk conditions along the Bridge and Middlesex Street business corridors. 3/27/2018 – Req. City Mgr. provide a report regarding equal opportunity employment in the City. 3/27/2018 – Req. City Mgr. review pedestrian safety along Branch Street business corridor; indicating if signage will improve safety in the area. 4/3/2018 – Req. City Mgr. provide a report regarding condition of fire stations in the City. 4/3/2018 – Req. City Mgr. provide list of names and terms of service for City boards and commissions. 4/10/2018 – Req. City Mgr. install civilian cameras in the Treasurer’s/Collectors Office. 4/10/2018 – Req. City Mgr. direct the Parks Department to install swings and slides on City Park located next to St. Joseph’s Apartments @ 511 Moody St.
5/1/2018 – Req. City Mgr. and Human Resource Dept. work with Supt. of Schools and School H/R department to explore means to attract a diverse pool of candidates for future employment openings. 5/1/2018 – Req. City Mgr. have Human Resource Department develop a recruitment policy and procedure for hiring purposes. 5/1/2018 – Req. City Mgr. take necessary means to repair potholes on Marlborough Street. 5/1/2018 – Req. City Mgr. work with various department (ie. Elections Dept.) to begin listening sessions through the Ad Hoc Election Laws SC regarding Voting Rights litigation. 5/8/2018 – Req. City Mgr. have Law Dept. draft an ordinance which would require City bid construction/development projects of a certain size which may involve TIF?s and within the Hamilton Canal Innovative District adhere to minimum work force standards for the employment of minorities and women which mirror current State/Federal requirements. 5/8/2018 – Req. City Mgr. develop a recording, reporting and accountability process with regular public meetings among stake holders pre through post construction for construction workforce diversity data on projects covered by prior proposed ordinance. 5/8/2018 – Req. City Mgr. direct proper department (DPD, Neighborhood Services, LRTA) to organize a public information session to inform residents about changes to bus routes and bus stop locations resulting from temporary closures and repairs of canal bridges. 5/22/2018 – Req. City Mgr. provide a report on challenges and successes in relationship between Lowell Career Center and clients of local non-profit who aid in addiction recovery. 5/22/2018 – Req. City of Lowell continue its support of non-profits that provide services to our residents in need and request City Mgr. provide periodic reports on progress and advise on how to strengthen results. 5/22/2018 – Req. City of Lowell join with non-profits to send a letter to the US Senate and House of Representatives in support of Comprehensive Addiction Resources Emergency Act (CARE) proposed by Sen. Elizabeth Warren and Rep. Elijah Cummings to begin treating the opioid crisis like the critical public health emergency it is. 5/22/2018 – (with Samaras) Req. City Mgr. have DPW work with representatives from Roberto Clemente Baseball Field to install lighting with a scoreboard on the field and to concession stand in the near future. 6/26/2018 – Req. City Mgr. have Traffic Engineer review traffic patterns at the intersections at Westford and Wilder Streets, as well as, at Middlesex and Wilder Streets and report on whether the installation of traffic signals are appropriate at these locations. 6/26/2018 – (with Samaras) Req. City Mgr. instruct Superintendent of Police and all involved to identify any problematic areas in the City and plans to address the situation(s). 1/23/2018 – Req. City Council establish subcommittees to address any issues regarding senior citizens and non-profit organizations in the City. 2/13/2018 – (with Mercier) Req. City Mgr. review possibility or re-establishing the position of downtown coordinator. 3/6/2018 – Req. City Mgr. instruct the proper department make all city parking garage rates (including any senior or other applicable discounts) readily available to constituents in both digital and printed formats that can be shared. 3/20/2018 – Req. City Council set up a joint meeting of the Public Safety SC with the Student Services SC of the School Committee to discuss safety in our schools. 4/27/2018 – (with Cirillo & Kennedy) Req. City Mgr. and Board of Parks take necessary steps to ensure that the Page Softball Field at Shedd Park remain dedicated to girls softball. 5/8/2018 – Req. City Mgr. have DPW look into repaving the playground at the Rogers School. 5/15/2018 – Req. City Mgr. review the costs of creating a “311” number for the City of Lowell. 5/15/2018 – Req. City Mgr. instruct proper department to ensure all restaurants with sidewalk seating comply with the 48 inch clearance as required by the American With Disabilities Act. 5/22/2018 – (with Nuon) Req. City Mgr. have DPW work with representatives from Roberto Clemente Baseball Field to install lighting with a scoreboard on the field and to concession stand in the near future. 5/22/2018 – Req. City Mgr. instruct the Law Department to draft a home rule petition to allow the City to appoint retired Lowell police officers to work paid detail assignments. 6/26/2018 – (with Nuon) Req. City Mgr. provide an update regarding staffing at the police precincts in the City, particularly during nights and weekends. 6/26/2018 – Req. City Mgr. look into the installation of Pickle Ball courts and other activities for senior citizens at Shedd Park and other public parks throughout the City.